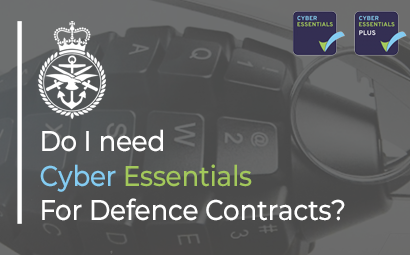 Do I need Cyber Essentials for Defence Contracts? Every business in the UK has a legal responsibility to protect any data they hold on individuals, a requirement which has become more important since the introduction of the GDPR legislation last year. Cyber Essentials is a government-approved certification scheme, which tests your data security system, helps you identify and fix any gaps you may have, and shows you’re committed to best practice. 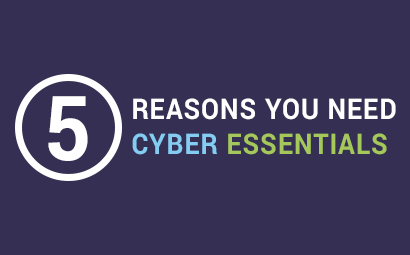 Cyber Essentials is a certification scheme available to all UK businesses. Jointly run between the National Cyber Security Centre (NCSC) and the UK government, it tests your IT systems and devices for data security. It’s a great way to show your customers and partners that you operate your business on information security best practice. 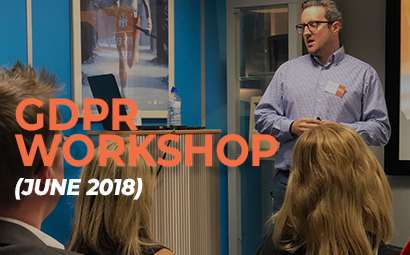 Last week our monthly GDPR workshops came to an end, with our closing one being held exclusively for our clients. 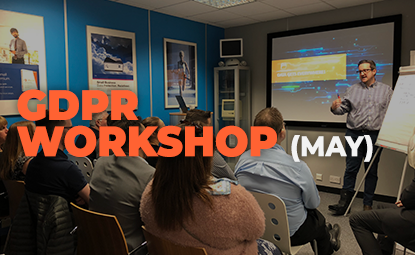 Since the start of the year, we have been conducting monthly workshops with the renown solicitors Harrison Clark Rickerbys to educate and give clarity on the sophisticated legislation. Today is the launch of GDPR the new legislation which is going to revolutionise the way organisations use and process your data. Since the start of the year, we have been conducting monthly workshops with the renown solicitors Harrison Clark Rickerbys to educate and give clarity on the sophisticated legislation. 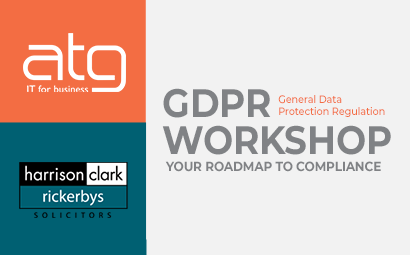 Last week we conducted a GDPR Workshop in collaboration with the renown solicitors Harrison Clark Rickerbys. For those who may not know GDPR is a new legislation that is being enforced on the whole of Europe on the 25th May 2018. This new legislation aims to change the way organisations handle and process the data of EU citizens, granting them new rights over their personal data. 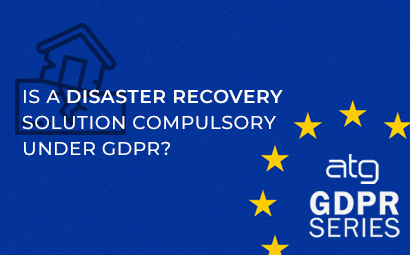 Is a Disaster Recovery Solution Compulsory Under GDPR? Since it's announcement in 2012 the 25th May 2018 has been engraved into our conscious by CIOs and business leaders across the European Union. 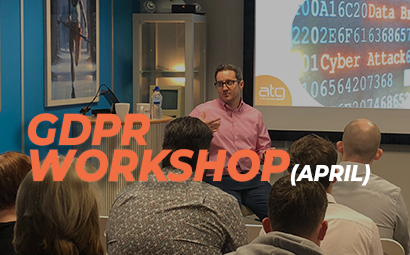 This date marks the beginning of the General Data Protection Regulation (GDPR) being enforced and if that date has no significance to you then where have you been!?! GDPR is the new legislation that is going to revolutionise how businesses handle the data of EU citizens. 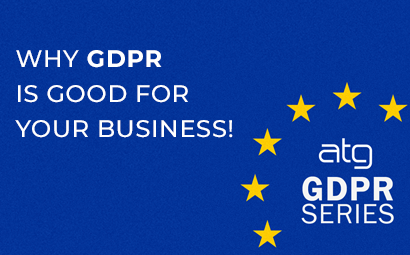 Why GDPR is good for your business! I have had many conversations about the negative implications of GDPR the “Stick”, but what about the positive implications the “Carrot”. I felt after all the FUD that has been thrown around recently, it was time to extol the virtues of becoming compliant and the inherent benefits this brings. 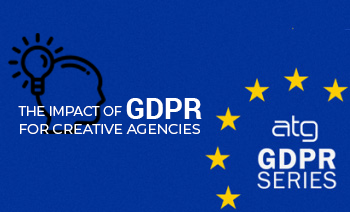 What do you Creative Agencies need to know for GDPR? Clearly the UK will still be a member and therefore affected in the same way by this EU law that replaces the Data Protection Act which has been around for 20 years, but now the regulation comes with the full power of the EU courts making it a legal requirement for all companies to adhere to the regulations, or face some heavy fines up to €20 million or 4% of a company’s global annual income (whichever is the larger amount). Even after the UK officially exists the EU the same legislation will largely apply on the basis that many companies are still trading or performing some function in Europe and therefore still liable based on this regulation, and this has been confirmed as extending out globally to any company in any country processing European citizen data.